"If life gives you nail polishes, make nail art." 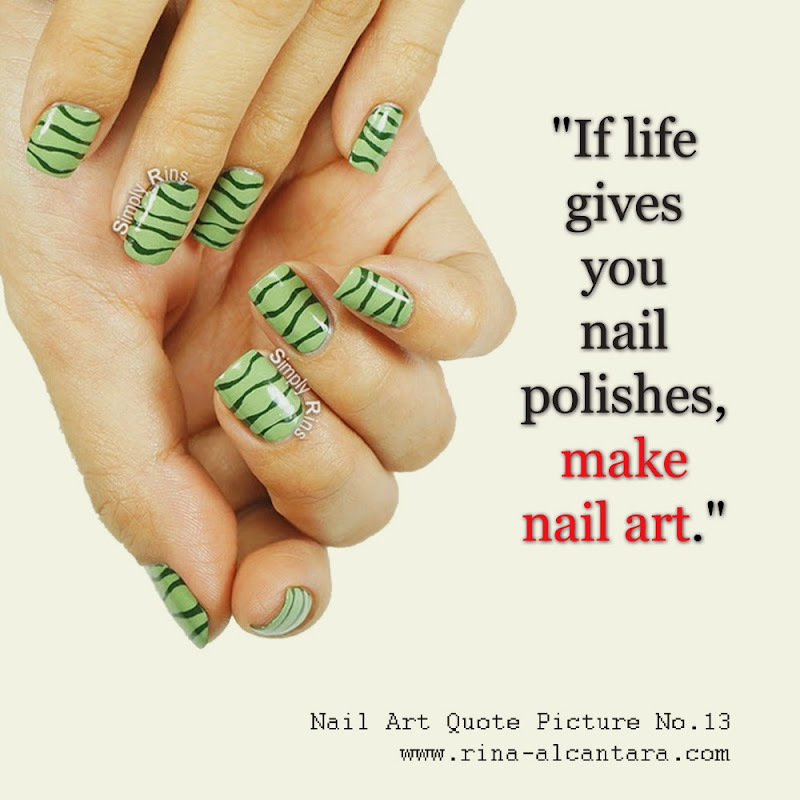 Nail art used in photo is "I Can't Draw a Straight Line"
This nail art quote is clearly adapted from the famous "If life gives you lemons, make lemonade." But unlike the popular quote that is used for encouragement or to rise above challenges, this particular nail art quote has a positive message.